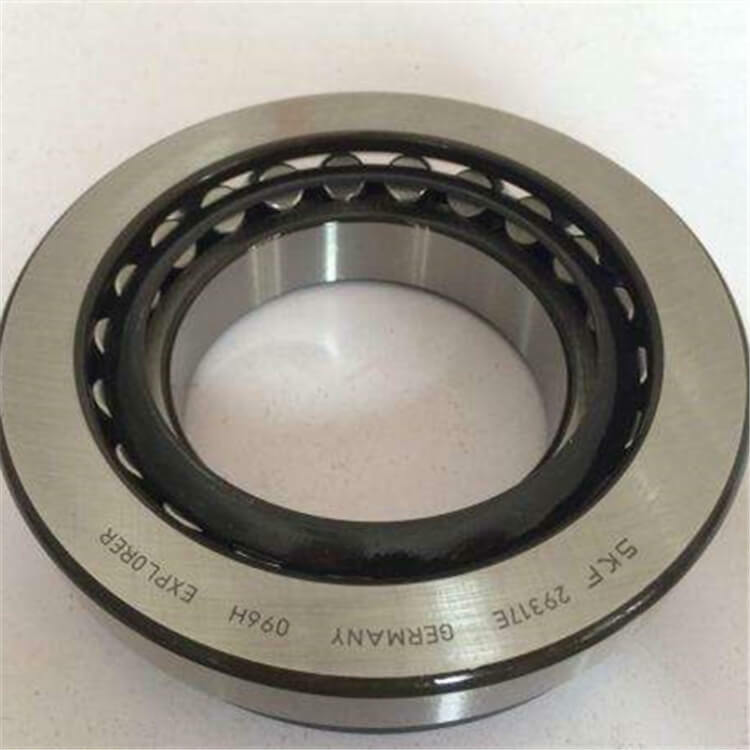 About Thrust roller bearings Thrust roller bearings sustain only axial loads, but they are suitable for heavy loads and have high axial rigidity. Spherical thrust roller bearings contain convex rollers and have a self-aligning capability and are free of any influence of mounting error or shaft deflection. Standard cages are machined brass, where the E-type offers a pressed cage for high load capacity.